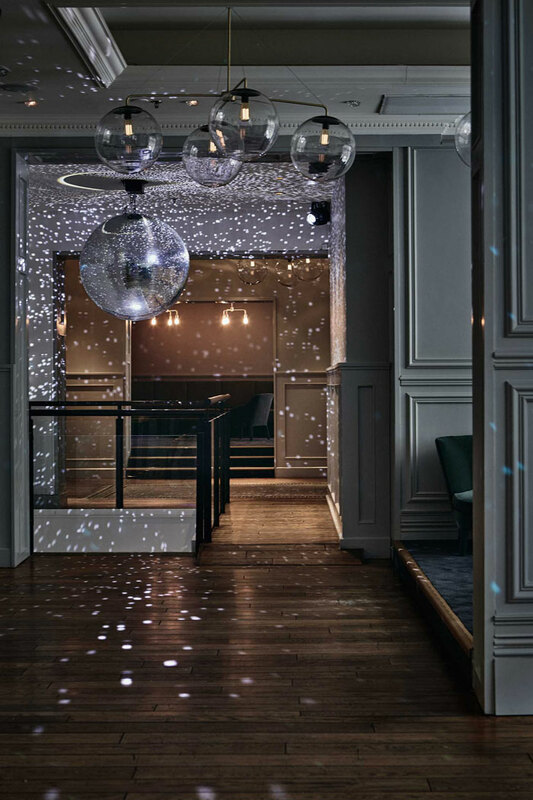 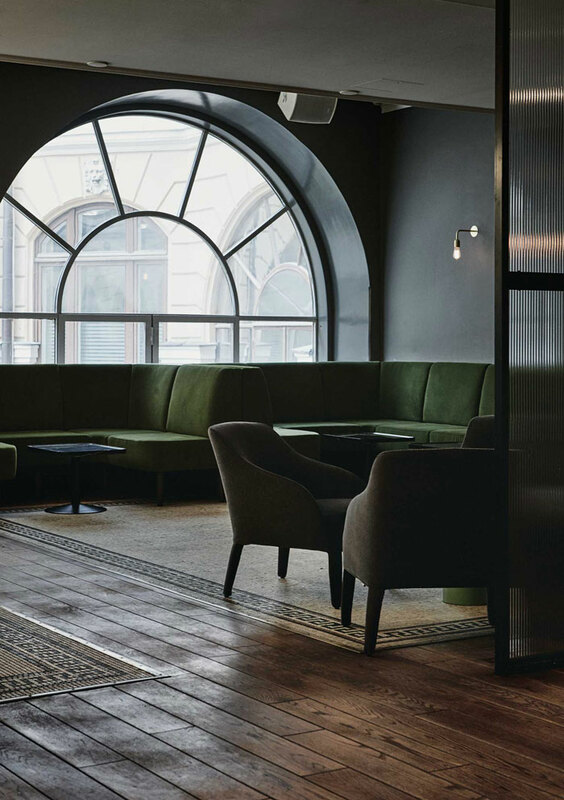 LeRoy is a new night club and ballroom that opened its doors in Helsinki recently. 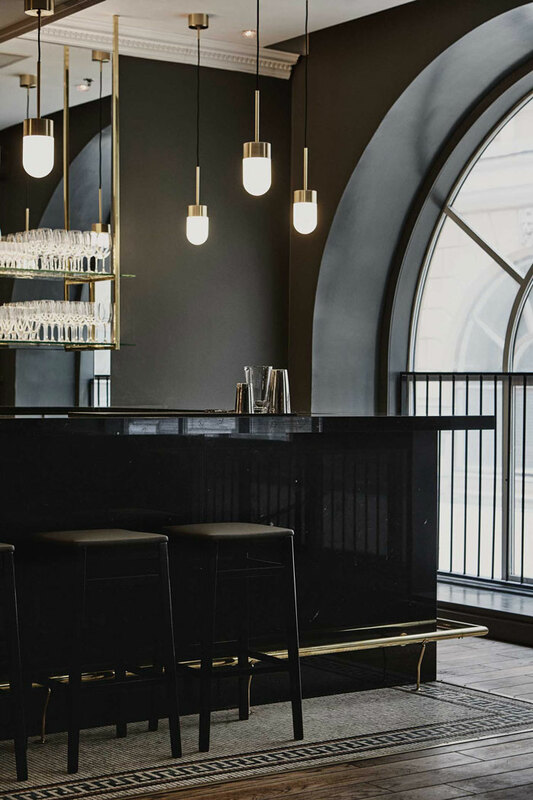 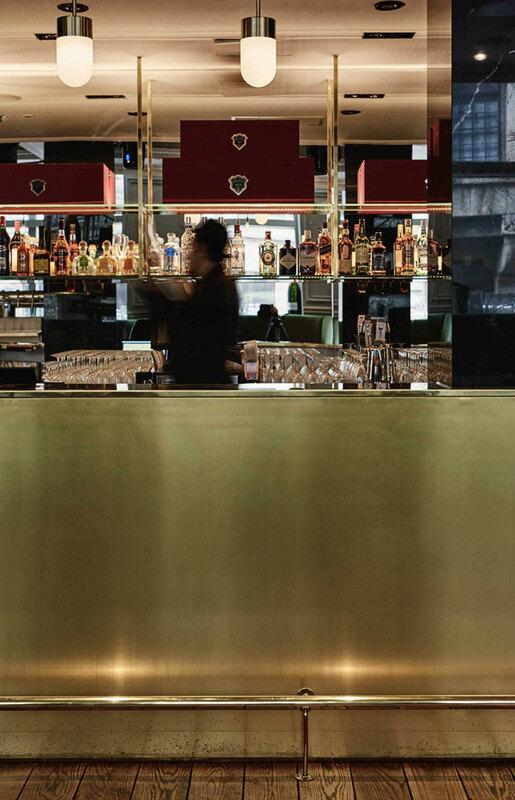 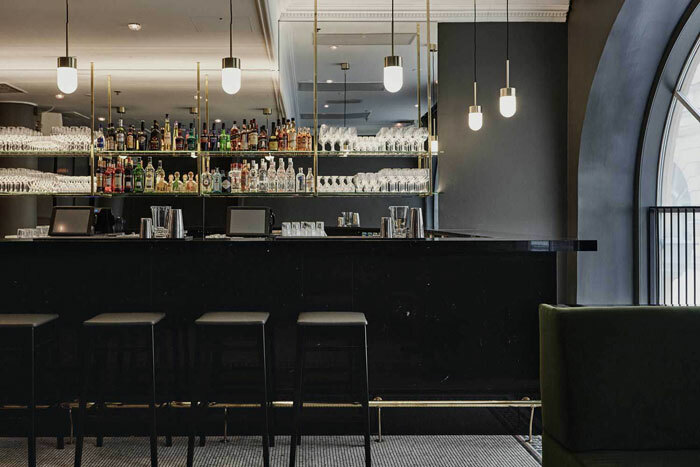 It was designed by talented Joanna Laajisto, the creative mind behind other stunning ventures such as restaurant Michel (which is located in the same building as LeRoy), restaurant Story, and Bar & Co., among others. 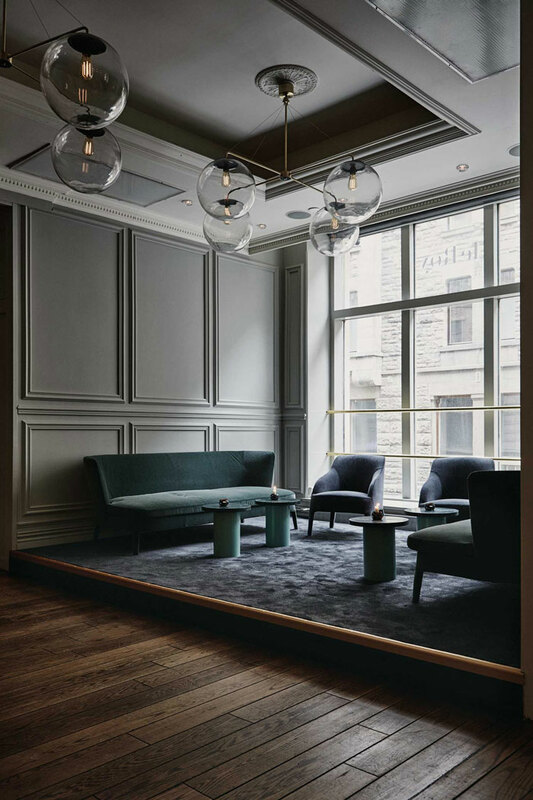 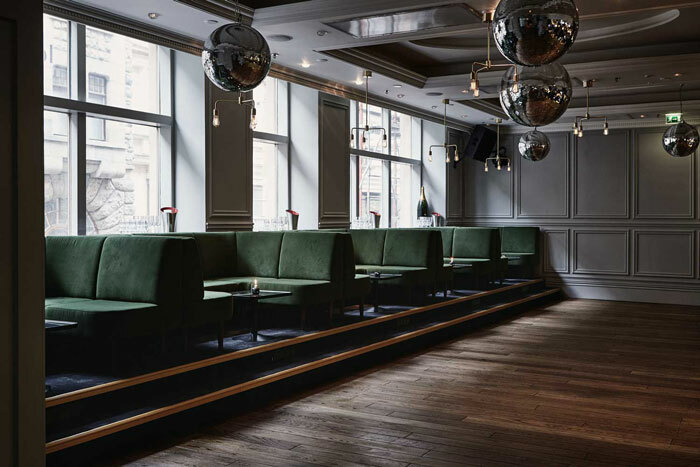 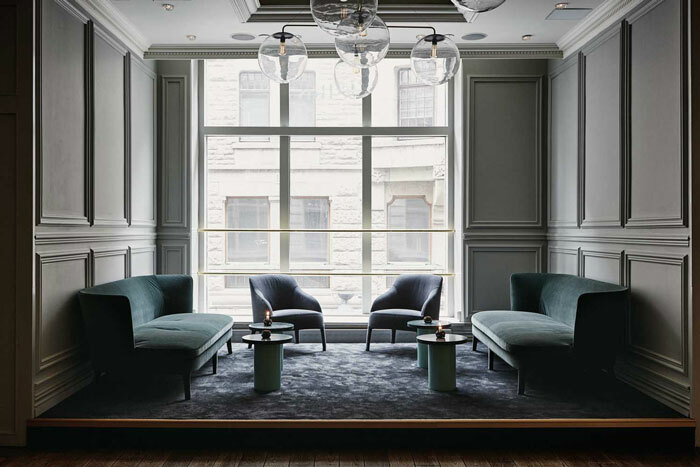 Grey tones, black marble, green velvet, brass details, dark wooden floors, wall panelings, huge windows… The interior has a classic, slightly retro and luxurious look. 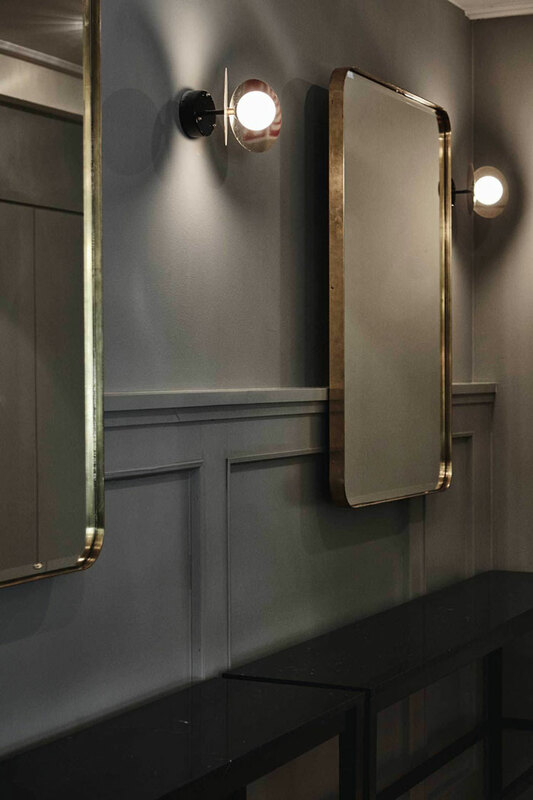 All lights are from Rubn and Atelier Areti. 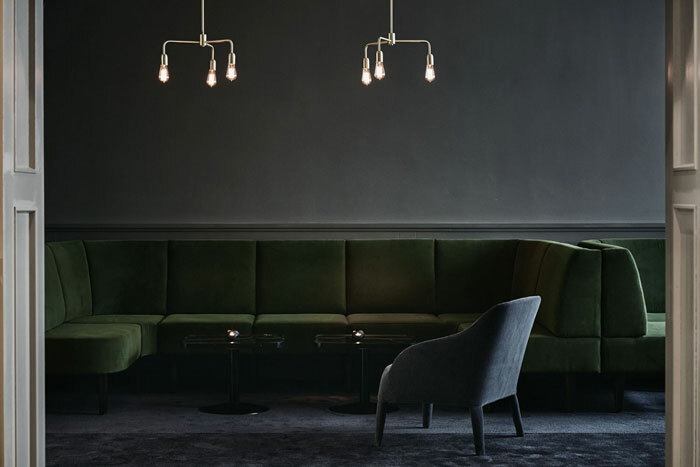 Furniture by Maxalto and e15.